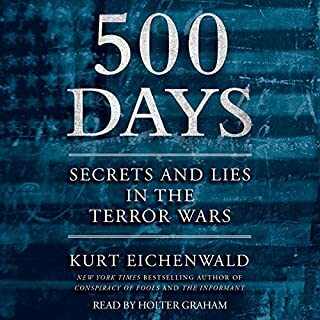 In 500 Days, master chronicler Kurt Eichenwald lays bare the harrowing decisions, deceptions, and delusions of the eighteen months that changed the world forever, as leaders raced to protect their citizens in the wake of 9/11. 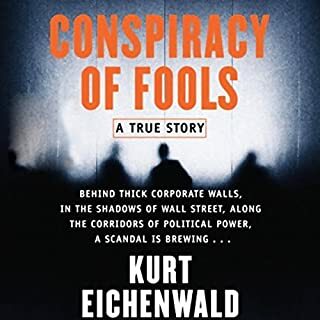 Eichenwald's gripping, immediate style and true-to-life dialogue puts readers at the heart of these historic events, from the Oval Office to Number 10 Downing Street, from Guantanamo Bay to the depths of CIA headquarters, from the al Qaeda training camps to the torture chambers of Egypt and Syria. Who is Bernie Madoff, and how did he pull off the biggest Ponzi scheme in history? These questions have fascinated people ever since the news broke about the respected New York financier who swindled his friends, relatives, and other investors out of $65 billion. Many have speculated about what must have happened, but no reporter has been able to get the full story - until now. Diana B. Henriques of the New York Times has written the definitive book on the man and his scheme. It was one of the FBI's biggest secrets: a senior executive with America's most politically powerful corporation, Archer Daniels Midland, had become a confidential government witness, secretly recording a vast criminal conspiracy spanning five continents. Mark Whitacre, the promising golden boy of ADM, had put his career and family at risk to wear a wire and deceive his friends and colleagues. Using Whitacre and a small team of agents to tap into the secrets at ADM, the FBI discovered the company's scheme to steal millions of dollars from its own customers. I found this book fascinating. 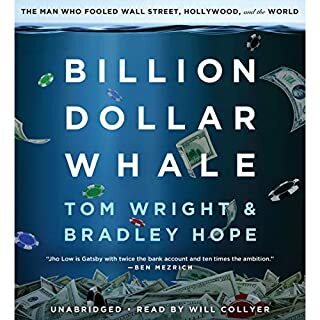 It's a true story based on Mark Whitacre who was a whistle-blower on a huge corporation's price-fixing scheme in the 1990's. The only hitch was that Whitacre turned out to be a wee-bit bonkers. He had trouble staying grounded to reality as he lied, double-dealed and embezzled his way into millions of dollars and lots of legal troubles. Yet, Whitacre remains strangely sympathetic as a smart guy who got in over his head and went off the rails. Fun stuff! It's one of those books that are so fun that you don't want it to end. 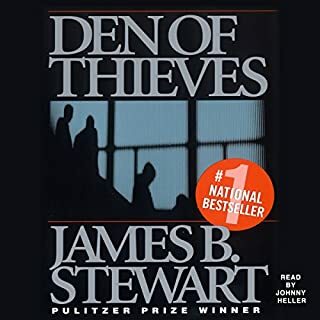 If you've seen the Family Guy episode where Stewie keeps saying "cool hwip" then you'll understand what the narrator does for the whole twenty something hours of this audiobook. That, however, is the only thing I didn't like about it. It's an interesting and sometimes funny saga that had me struggling to get my head around the fact that this book is non-fiction. There are so many lies and twists that seem so unbelievable at times but if you don't let that frustrate you then you should enjoy the story. 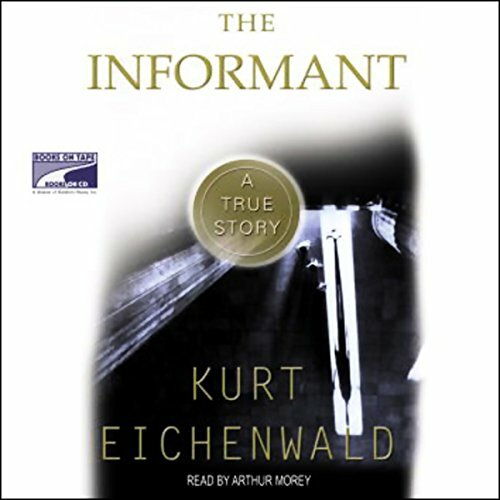 It does read like a thriller, and trying to figure out whether the informant is for real or not kept me listening. I'd never have guessed I could become so engrossed in a tale about this bizarre line of business. The reporting and storytelling are excellent. 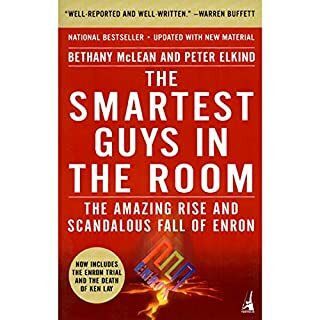 I listened to this book over several 3-5 hour drives. Twice I took it to bed with me. The story stayed in my mind over the couple of months I listened to it. How was it possible that such corruption was allowed? We all know about corporation greed, but when it comes down to the actions of individuals, it gets personal. The author, the investigators, attorneys and judges all seemed truly amazed that one man could wreak such havoc on so many lives. In the end, I was still not sure if he ever "got it"...that he was not the victim and all his lies were not justified. I would say that only a psychopath could be so oblivious of others, but that still can not explain the actions of Mark Whitaker. Please read this book and explain it to me. If the author's goal was to put you to sleep, he knocked it out of the park. Unlike his previous novel, Conspiracy of Fools, this dramatization of a true story is about as engaging my kid's grade one performance of Swan Lake. If you've seen the movie, you'll know that it only shows a fraction of all the schemes Whitacre set up. At times, I was shaking my head in disbelief. It's hard to make up your mind if he's genius or mentally ill. Very interesting story. Great narration, also. The narrator changed his voice a little to impersonate the various people who took parts in conversation so it was easier to distinguish who was "speaking". Excellent job. The central figure of this immensely complicated tale is so cute and puppy-dog like ("Hey! Guys!") no wonder he gets away with everything! I wonder how much government dollars he cost . . . . I am usually skeptical of true stories knowing that authors and movie producers needing to add drama stray far from the actual dry facts of the story. However, in The Informant I could not stop reading. The characters and their greediness could not have been more interesting if they had been made up. Unaware of the story of ADM?? ?s crimes in the 1990?? ?s I researched the case on the Internet and almost ruined the plot for myself. Eichenwald?? ?s account is pure nonfiction. I was amazed at the simplemindedness of such powerful executives. They truly were not much different than the average person (not all of us, thank goodness) who think first of themselves and what they can get. Their high positions belie their basic unsophisticated methods for leading and directing large operations when greed takes over. The surprise was that such an important case as this was not more screwed up by powerful government officials, their political appointees, attorneys, and the FBI. In this story, the FBI were the good guys, as we expect them to be. The writing was not great literature but it was an excellent telling of the facts in the case. The characters had depth. I wondered what each thought of how they were portrayed. Now, maybe I will see the movie. Great story! This is a gripping and entertaining story. I liked the narrator’s voice but not his performance which were insensitive, tone deaf. The story is Illuminating and amusing. The FBI works very hard to put together a case using Mark Whitaker, it’s CW, and the guy turns out to be a compulsive liar, severely bipolar, and turns out to be the biggest criminal than the people initially being investigated. Unbelievable twists and turns. Hard to believe it’s non fiction. 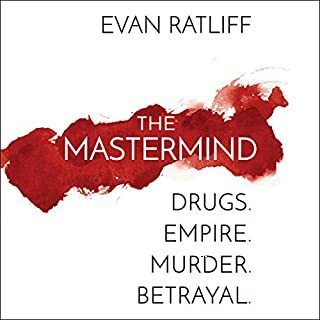 A very interesting story and deep dive into mind of the person that was hero, villain, witness, defendant, loyal friend and enemy. Fair warning, it is a long listen with a lot of detail.